The Canadian auctioneer Robert Heffel had a feeling, going into Wednesday night’s sale in Toronto, that the 10in by 14in painting The Lab by the Nobel Prize-winning doctor Frederick Banting was a bit underpriced at C$20,000-C$30,000, calling the appraisal “conservative”. But even he must have been surprised when it went for over ten times that estimate, realising C$313,250 ($237,000) with buyer’s premium and setting an auction record for the artist. 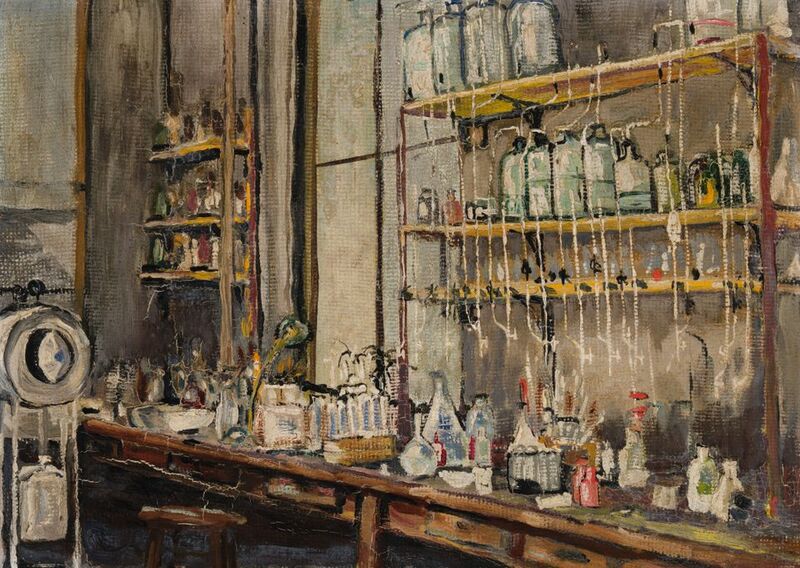 There was unprecedented interest in the work, which depicted the very room at the University of Toronto in which Banting and his lab partner Charles Best discovered insulin in 1921. All ten phones in the salesroom were humming and there were a like number of bidders on the floor, reportedly a record for a single offering at Heffel. Opening at just $18,000, within seconds the bidding had jumped to $50,000, then $100,000 and then to $200,000 before finally slowing. Heffel will donate the $53,000 buyer’s premium to the University of Toronto’s Banting and Best Diabetes Centre. As a Heffel spokesperson put it later: “It’s incredibly hard to monetise passion in advance. It doesn’t happen often that a work sells that much higher than its original estimate.” She cited paintings by the Group of Seven founder Lawren Harris and Jean Paul Riopelle, both among Canada’s best-known artists, that far exceeded expectations. But Banting’s work came with an interesting backstory. The Lab highlighted an otherwise uneventful night in Toronto, which generated some C$22m in sales. Top sellers were an abstract canvas by Riopelle, titled Jouet, and E.J. Hughes’s Fishboats, Rivers Inlet, both of which made more than C$2m. And Christopher Pratt’s House in August went for more than double estimate, taking in C$253,250, while his wife Mary Pratt’s Preserving Summer–Black Currant Jam more than tripled its estimate, realising $133,250.